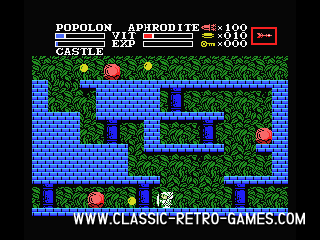 The Maze of Galious is one of Konami's biggest hits on the MSX. It's actually an MSX1 game, but the gameplay is so good that doesn't matter at all! 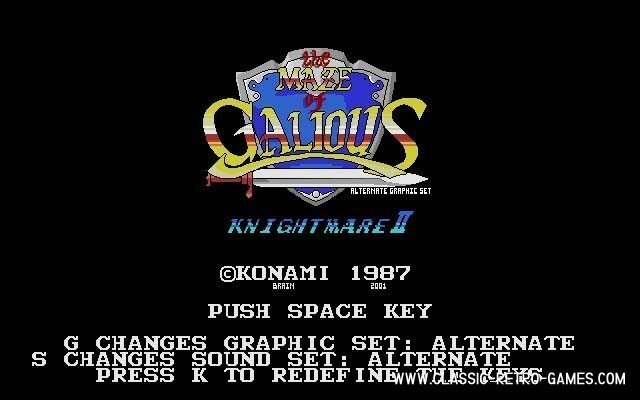 Maze of Galious is a platform, puzzle action game in which you will have to collect many items, kill several end bosses and even switch characters to finish the game. While this game is well known amongst MSX fans, it is less known to others. So this is your chance to meet with this retro classic. BrainGames has remade this game incredibly well. The gameplay, the music and the graphics are just excellent. And you even have the possiblity to change to 4 different graphics sets. This remake was done for Windows PC and is free to download. Enjoy a great Konami classic and download this game!